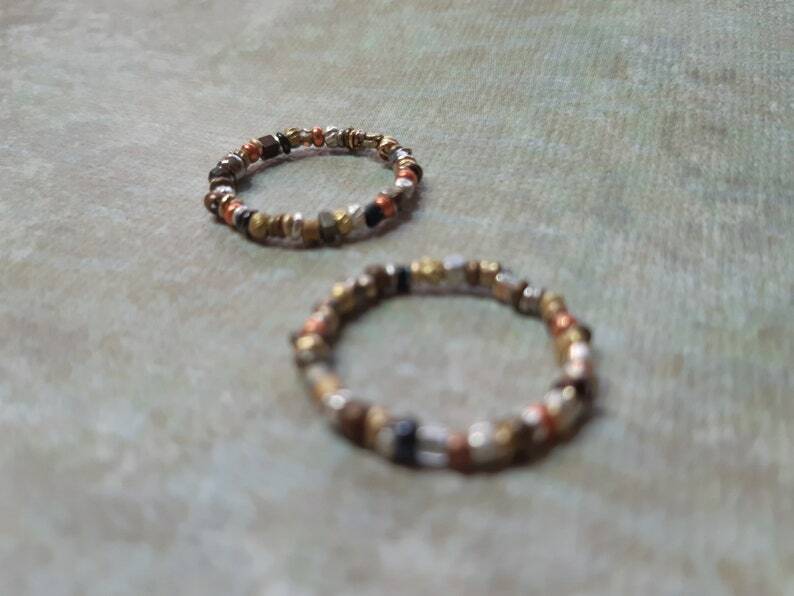 Two never-ending circles of rugged, organic raw metal links make these bands a great choice for those who like their jewelry simple, textured and earthy! This listing is for a set of two size 6 rings to wear stacked. Love dorijenn but on a tight budget? Visit my "$20 and under" department!